Astronomers found a rich molecular reservoir in the heart of an active star-forming galaxy with the Atacama Large Millimeter/submillimeter Array (ALMA). Among eight clouds identified at the center of the galaxy NGC 253, one exhibits very complex chemical composition, while in the other clouds many signals are missing. This chemical richness and diversity shed light on the nature of the baby boom galaxy. 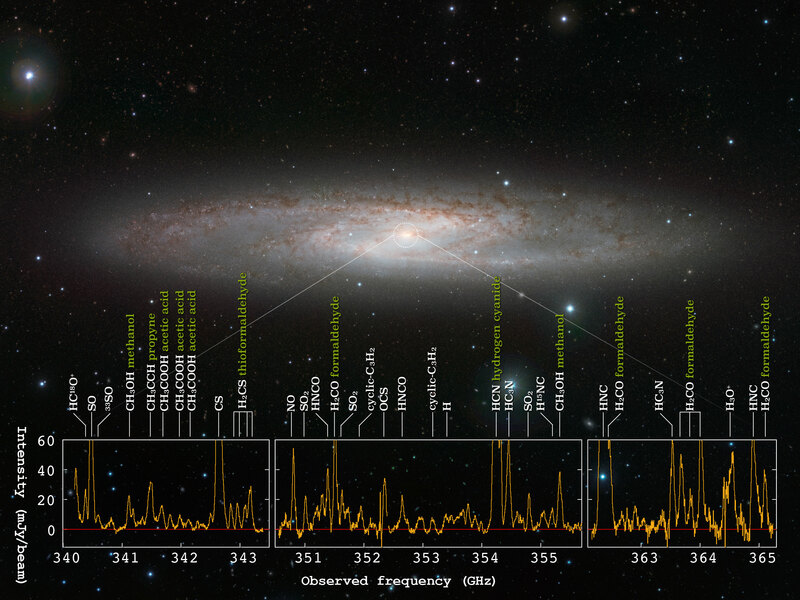 Figure: The starburst galaxy NGC 253 and the radio spectra obtained with ALMA. ALMA detected radio signals from 19 different molecules at the center of this galaxy. For more information, please visit the website of ALMA Observatory and National Astronomical Observatory of Japan.